Nanotechnology is the science of small things. How small is that? It is usually smaller than 100 nm. 1 nm is 1 billionth of a meter. In the other word, Nanotechnology is an engineering of systems at molecular or atomic scale and provides skills to control and see individual atoms and molecules. The idea of Nontechnology started with a talk of physicist Richard Feynman at California Institute of Technology (CalTech) on December 29, 1959. The title talk was “There’s Plenty of Room at the Bottom”. Modern nanotechnology started in 1981, when Scanning Tunneling Microscope (STM) developed. STM is kind of microscope that can see individual atoms. I must say that it is impossible to see atoms with the microscopes that typically used in science classes at high school. 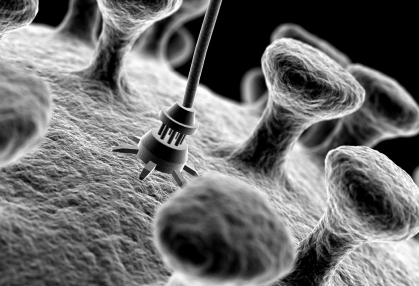 Video: Watch the history of nanotechnology begin with Richard Feynman’s famous talk. Nanotechnology has the potential to change the world in many positive ways. It will improve the quality of many products that we use every day and makes new products possible. Material properties often change drastically when they shrink from bulk to the nanoscale. Nowadays, engineers and scientists are trying to enhance properties of a material by making them nano-size. They are experimenting with materials at the nanoscale and trying to learn about their properties and find ways to take advantage of these properties in various applications. These enhanced properties can be different things such as lighter weight, higher strength and greater chemical reactivity as compared to their large-scale counterparts. Nanotechnology can be used in other science fields such as biology, physics, engineering, chemistry and materials science. For example, engineers are trying to use nano-size electronic chips to produce smaller, more powerful electronic devices such as computers, cameras and phones. 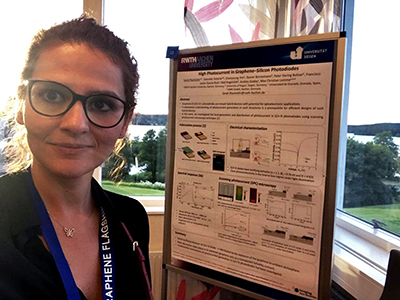 Doctors are searching for ways to use nanoparticles and nanochip in medical applications such as diagnoses and treatments.